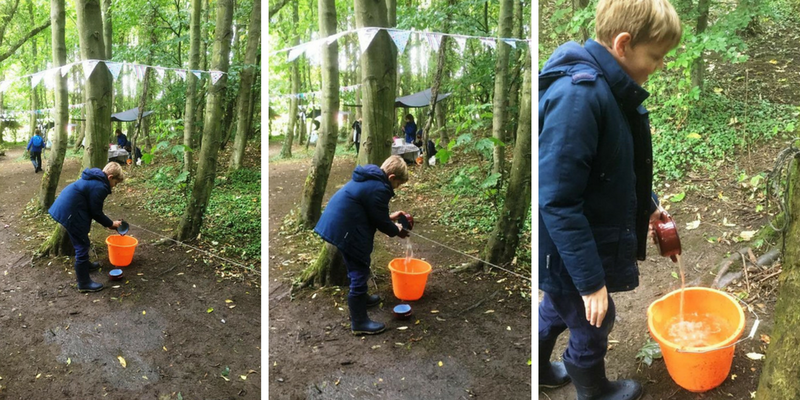 Did you know that behind the Visitor Centre at Plessey Woods in Northumberland there is a forest school? 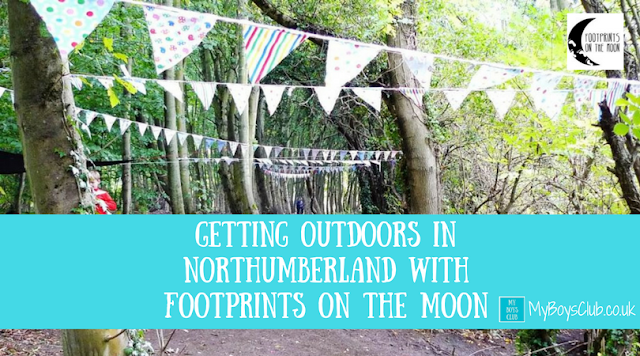 Hidden away under a canopy of trees you will find Footprints on the Moon – who invited us to unleash our inner wild one Saturday afternoon to try out their new Exploring and Survival Forest School. Forest School. It just sounds brilliant, doesn’t it? 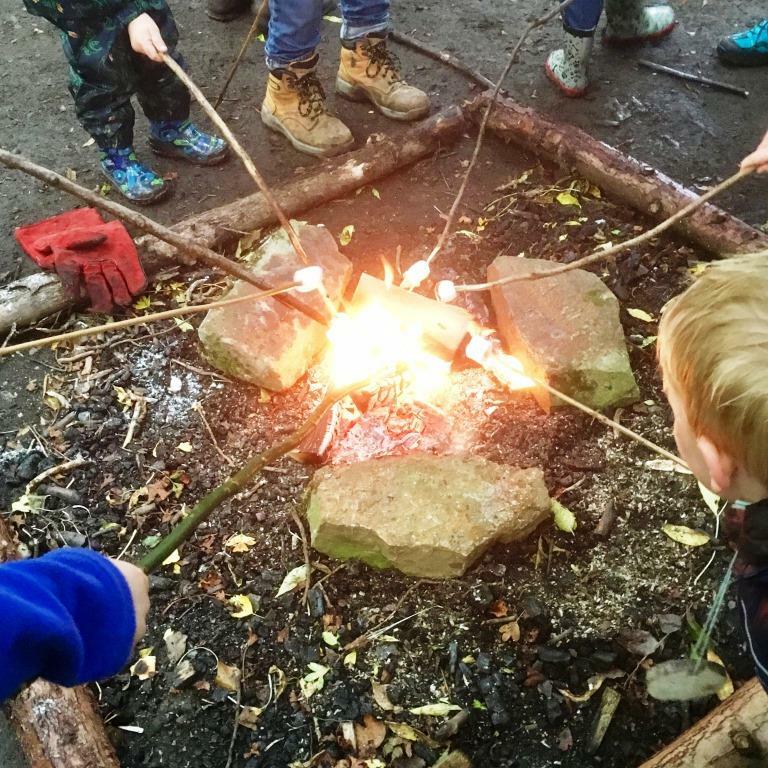 The aims of a Forest School are to offer learners of all ages and abilities the opportunity to achieve and develop confidence and self-esteem through hands-on learning experiences in a woodland or natural environment with trees. Sounds like so much fun to me. 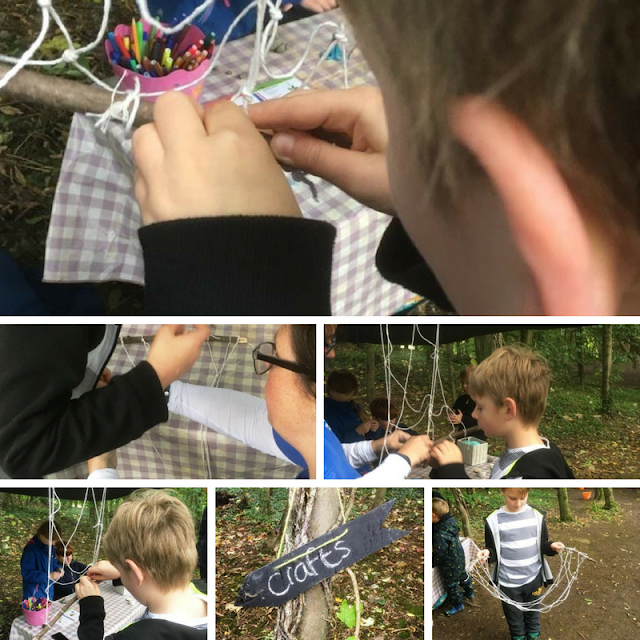 My boys and a couple of their friends attended a two-hour Exploring & Survival session and really enjoyed themselves! The afternoon started with some running around and ice-breaker games on the grassy area in front of the visitor centre before we discovered the secret school. Even though it rained the canopy of trees kept us fairly dry, there was an abundance of sticks and branches for den building, but so much more too. From hand tools and power tools, to crafts and cooking there were so many activities to choose from. The boys didn’t have to stick to a regimented schedule, there were different workstations dotted amongst the trees and they chose which they wanted to do at different times. Encourage the adventurer within is what the Footprints on the Moon website says, and they are not wrong. 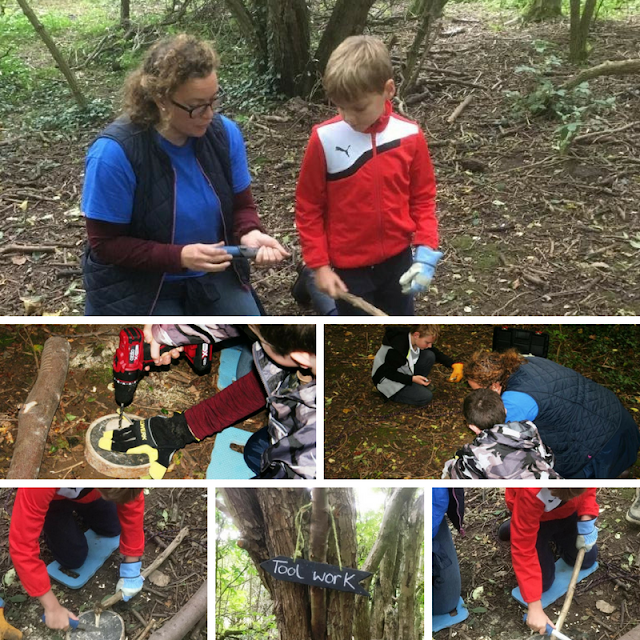 First up we tried tool work where the boys whittled sticks, sawed medallions from branches and made walking sticks, using hand and power tools under tight supervision from the Footprints on the Moon staff. Next up crafts and my eldest learnt how to tie knots well enough to make his first attempt at creating a hammock. We also used the coloured thread to created handles on the walking sticks they’d just made. The challenge consisted of carrying water in a particular way across a course. And then they made the bread, which was eventually cooked on the open campfire and eaten along with the homemade vegetable soup. Nothing ever tastes as good as food cooked and eaten outdoors, and today was no exception. It was all totally delicious, then to finish the afternoon off we toasted marshmallows over the fire. The whole afternoon was brilliant. Lots of fresh air, creative play, and challenging activities all under the fun but safe supervision of Footprints on the Moon. 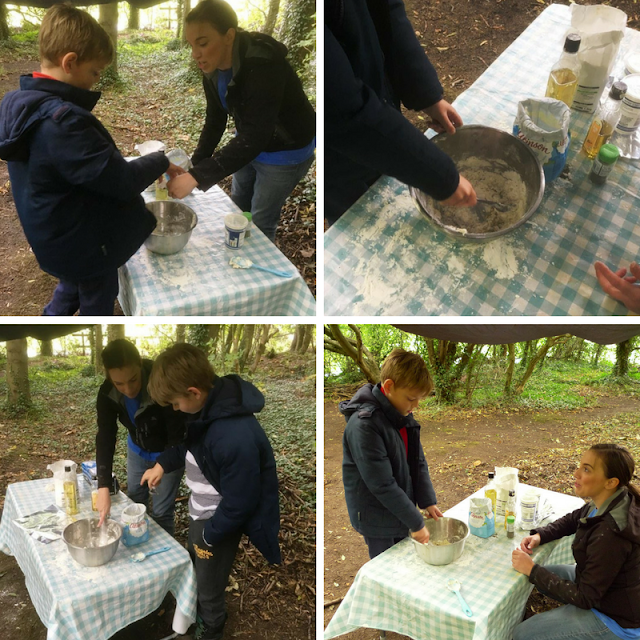 Footprints on the Moon have lots of different sessions at Plessey Woods from private sessions, birthday parties Forest School activities and TreeTots sessions. Plessey Woods Country Park is located near Hartford Bridge, off the A192, mid-way between Bedlington and Cramlington in Northumberland and about five miles south of Morpeth. 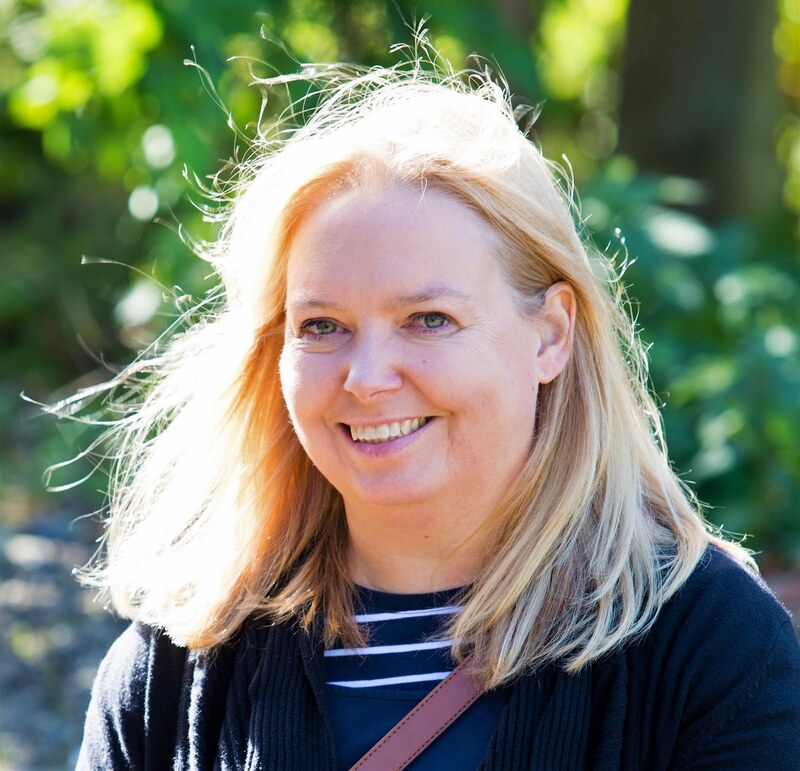 Known locally as Bluebell Woods, the country park, with open meadows, pleasant woodland and river walks, is an ideal place for a family day out with great opportunities for getting close to nature. Picnic areas with tables are provided near the visitor centre and throughout the park. The visitor centre and café is open are open from 10.30am-4pm on Saturdays, Sundays, bank holidays (apart from Christmas Day and Boxing Day) and school holidays, all year round. There is a children's play area near the visitor centre. The toilets are open from dawn to dusk every day. The park gates are open to vehicles during daylight hours and parking is free of charge. To have a great time you just need to remember three things … wellies, waterproofs and a water bottle … everything else is provided. To find out more or to book a session got to the Footprints on the Moon website. 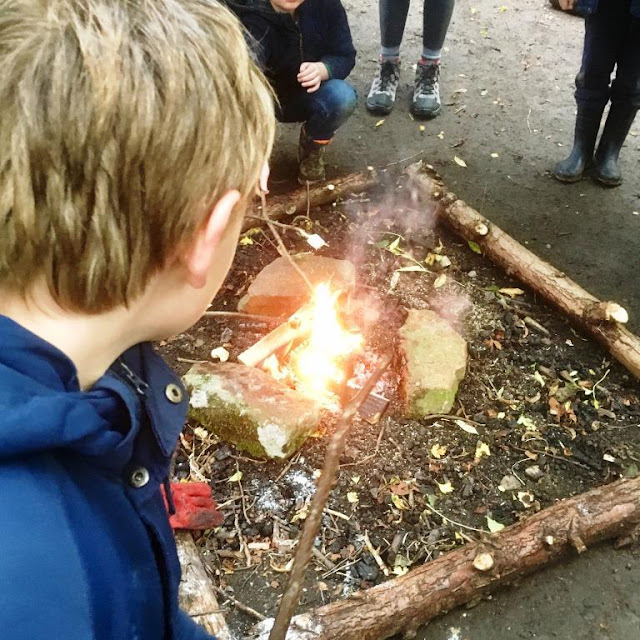 Have you ever been to a Forest School? 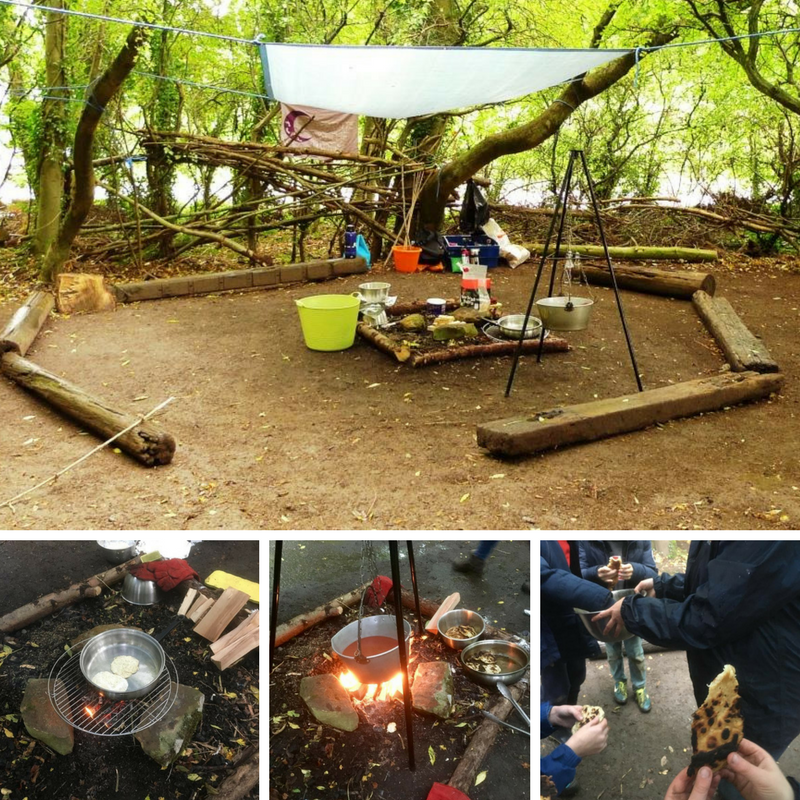 Disclosure: We were invited to attend a 2-hour bloggers session to enable us to review the Forest School. This is absolutely awesome I wish we have Footprints around here too. I would totally takes my kids to it. I love that everyone gets a chance to try out different things and that they are really get right in it no matter how dirty they'll get. My favourite is the challenge of carrying a bucket full of water. I can totally imagine Ethan moan about this from starts to the end! lol! Absolutely wonderful! I love Forest School!